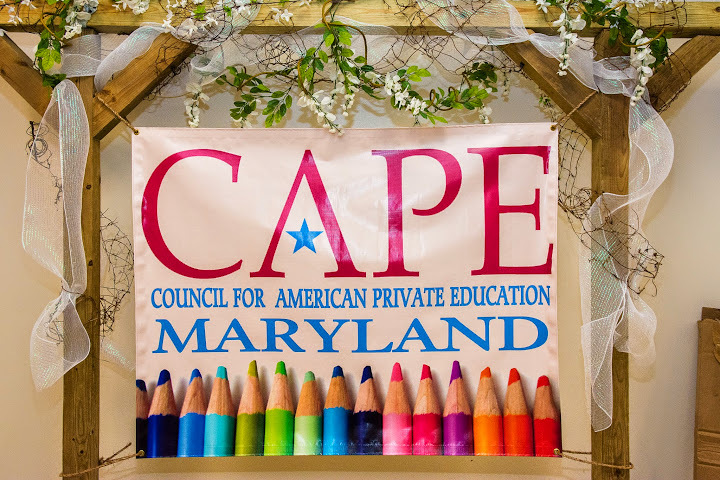 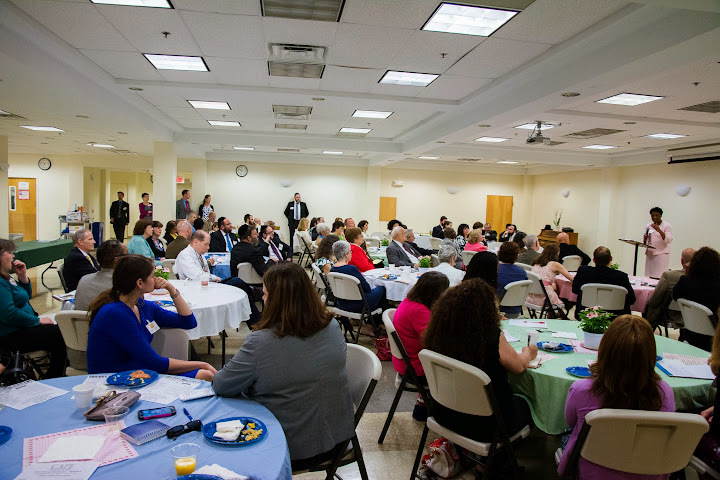 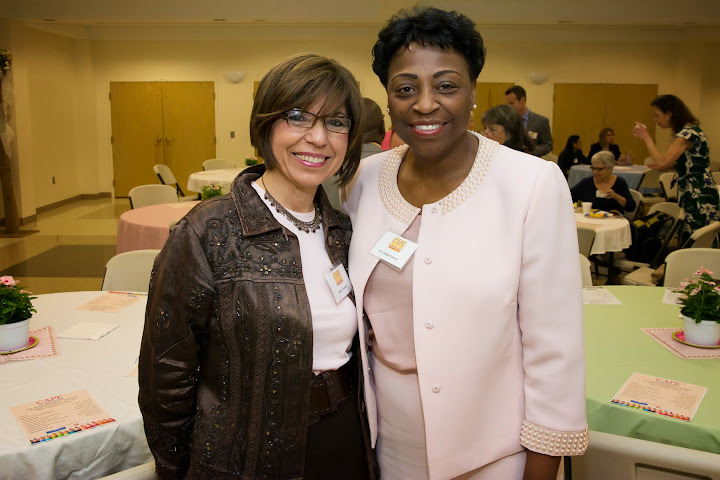 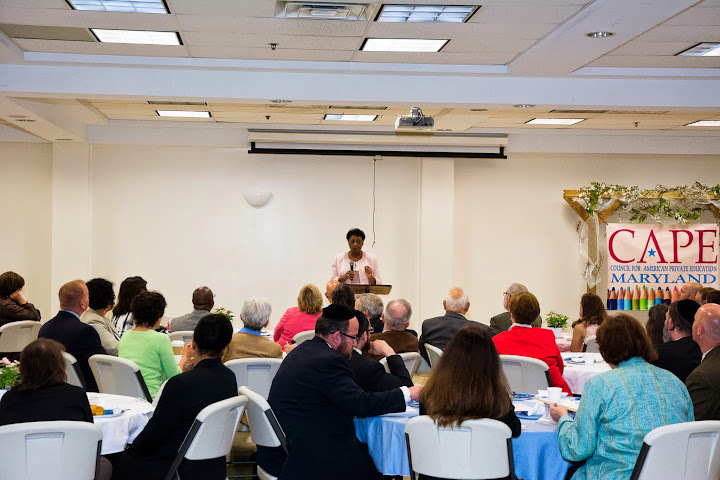 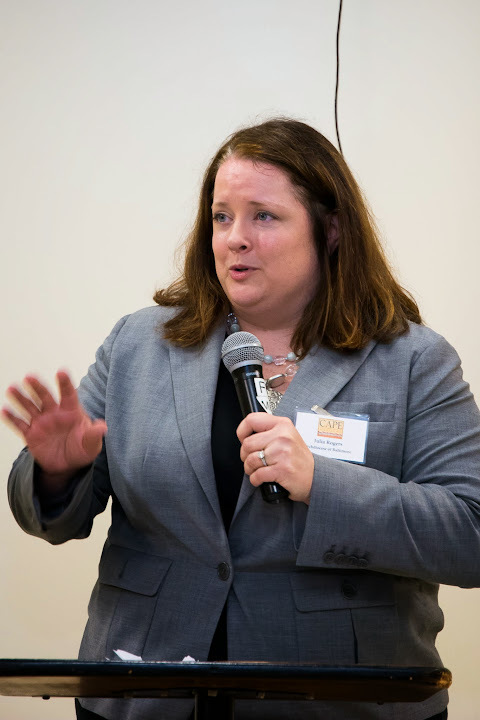 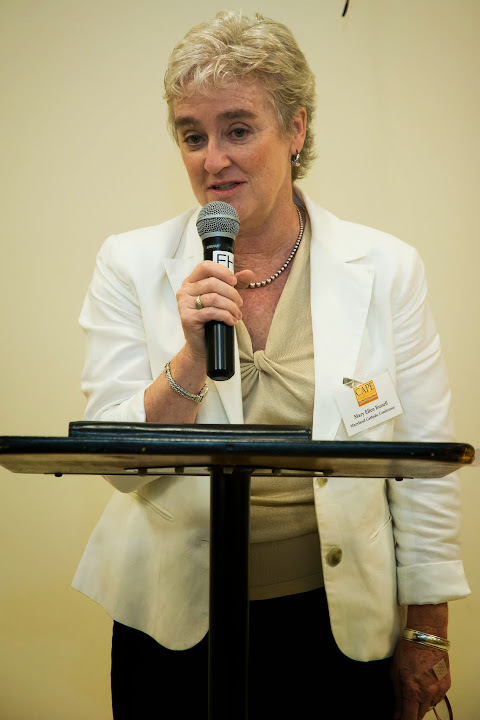 Baltimore, MD - May 16 - On Thursday, the Maryland chapter of the Council for American Private Education (Maryland CAPE), held its Annual Spring Breakfast, gathering the leaders of Maryland's nonpublic schools and state education officials. 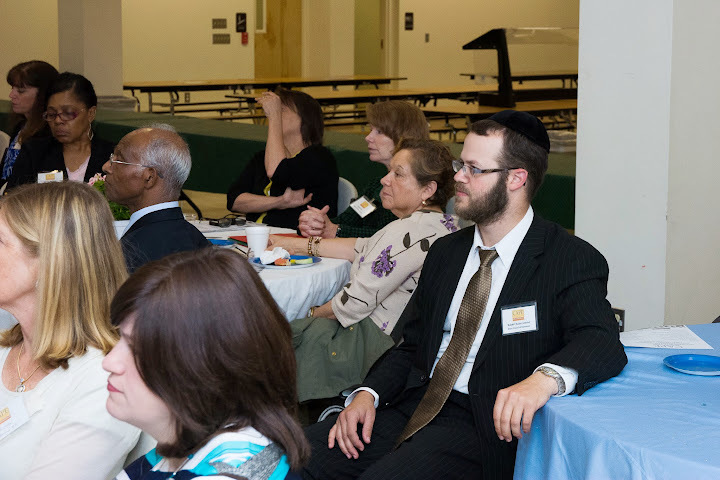 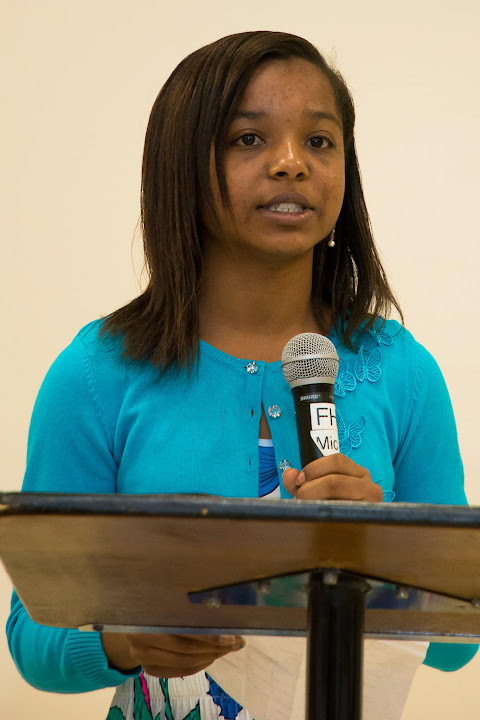 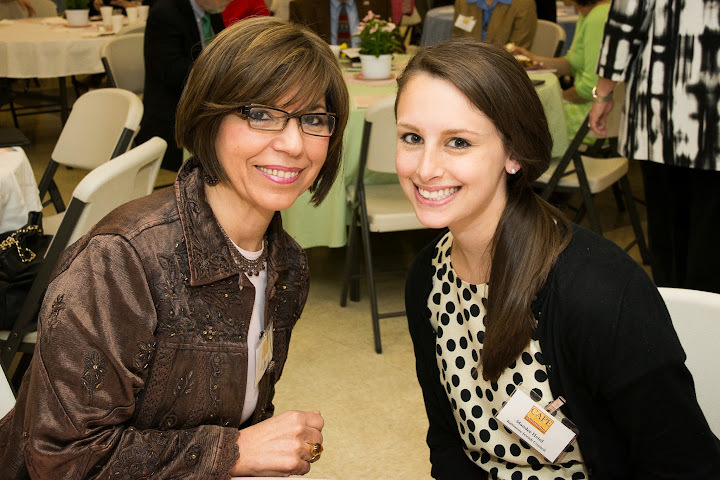 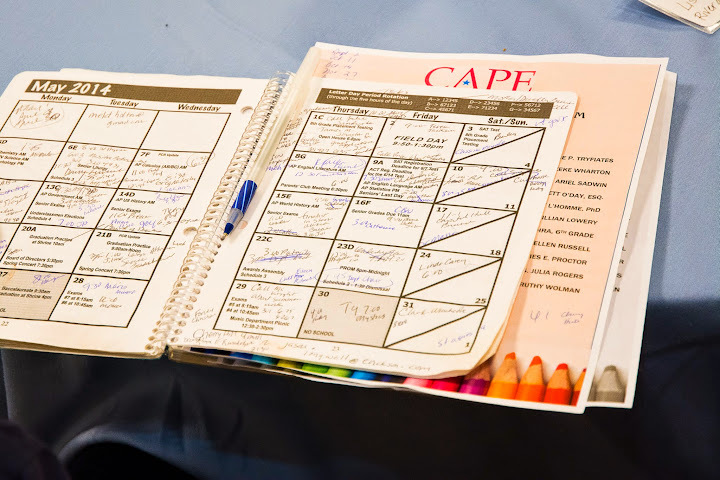 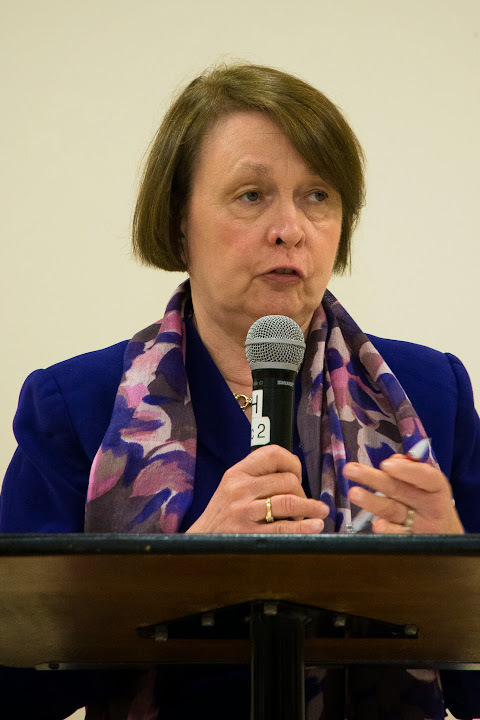 The annual event, hosted this year at Forcey Christian School in Silver Spring, drew what may have been its largest turnout of educators and leaders from across the spectrum of faith-based and independent schools. 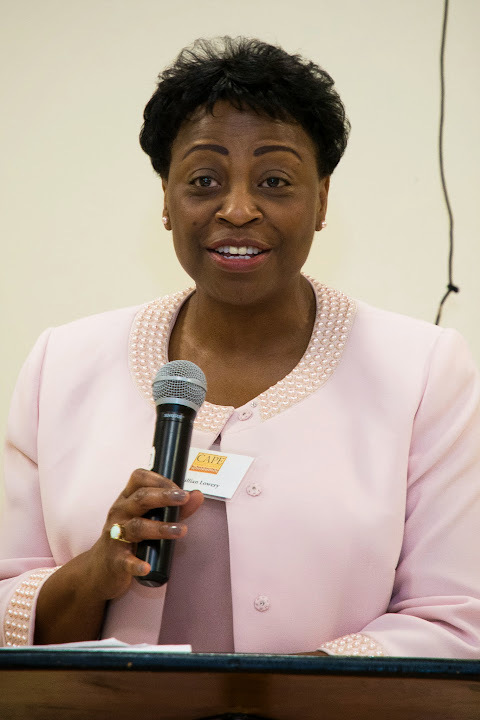 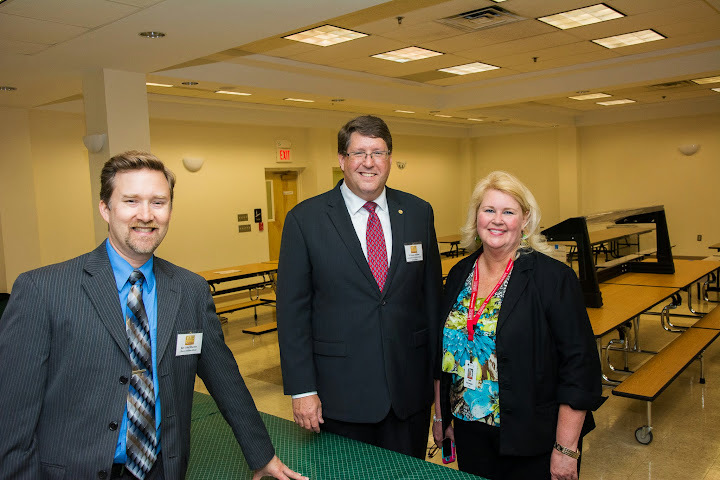 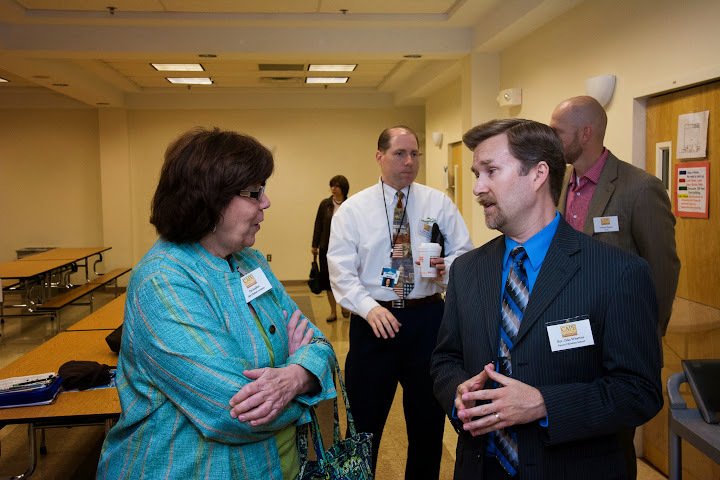 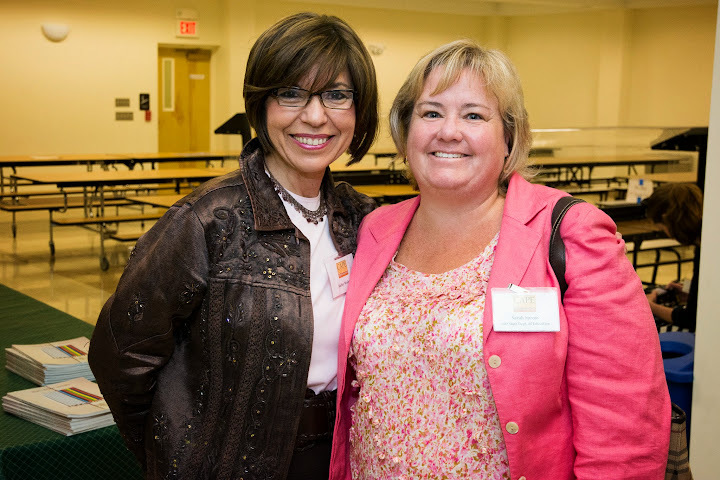 The event merged together excellent networking and information-sharing opportunities with a chance to interact with Maryland's Superintendent of Schools, Dr. Lillian Lowery, and other state education officials. 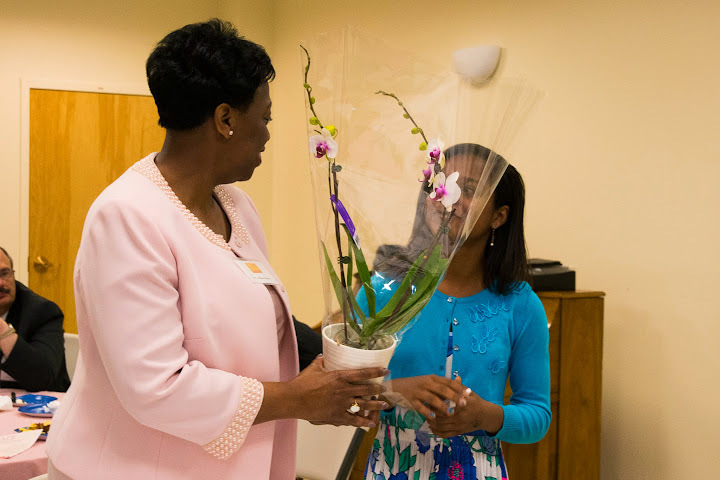 As with last year's breakfast, the 2014 installation also included the presentation of awards to individuals who have been vital to the success of Maryland's nonpublic schools. 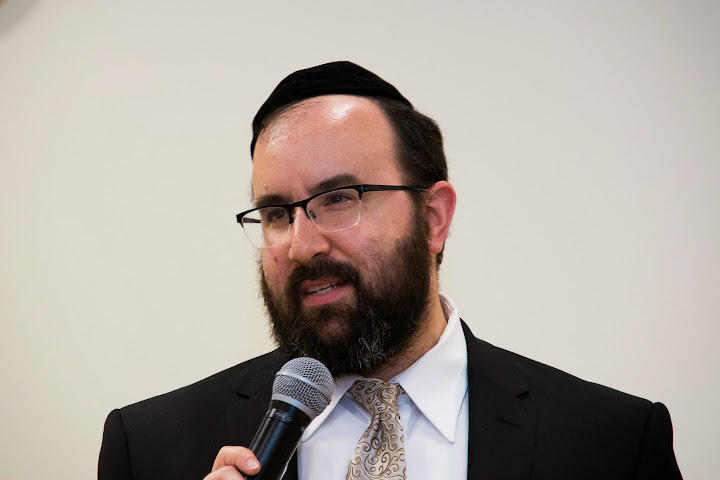 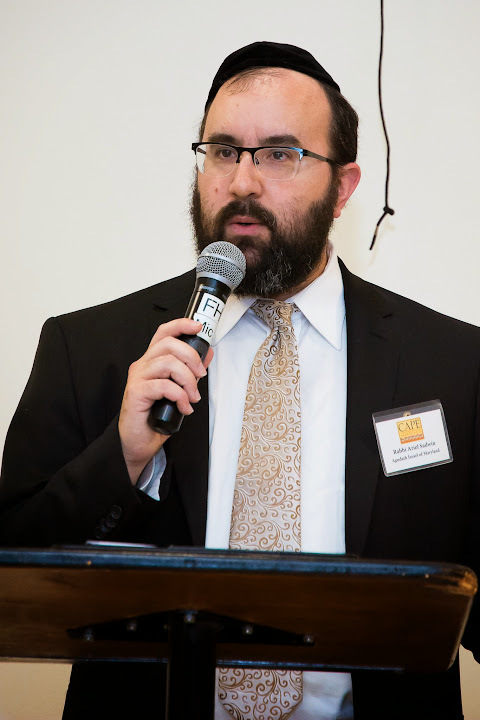 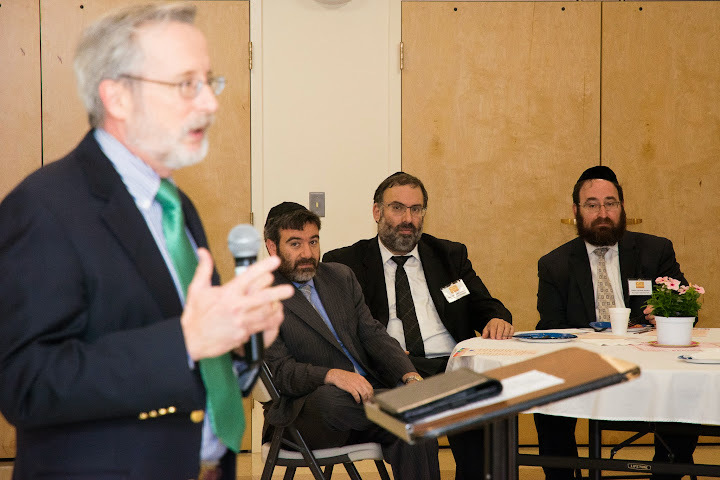 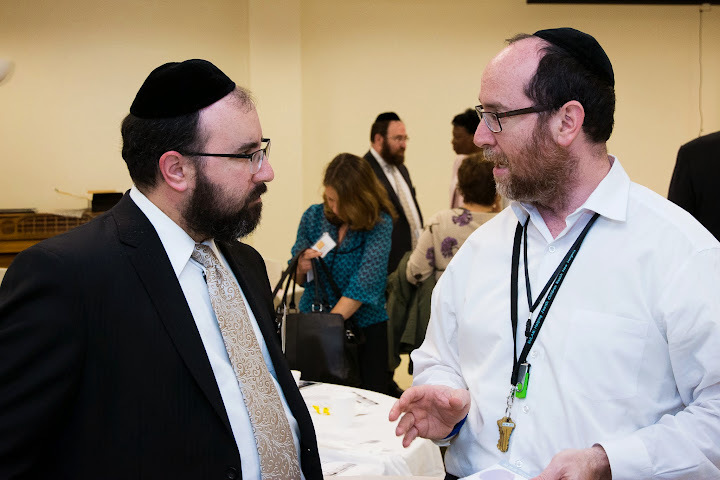 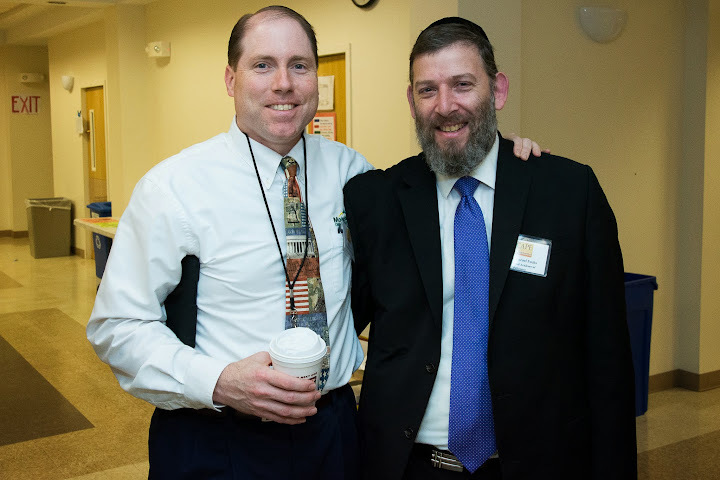 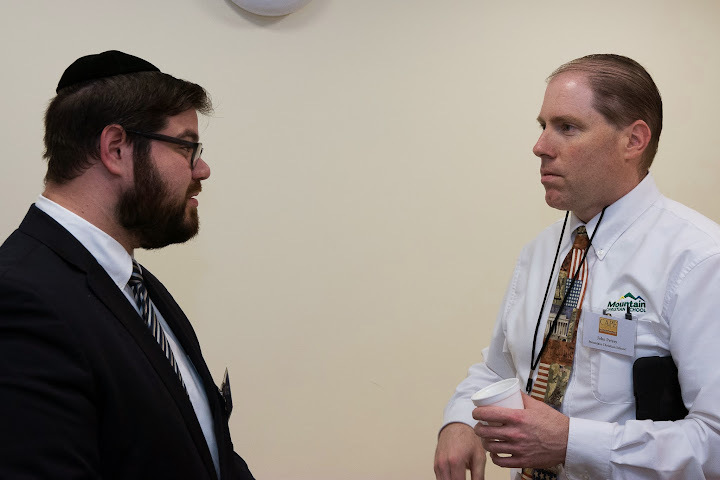 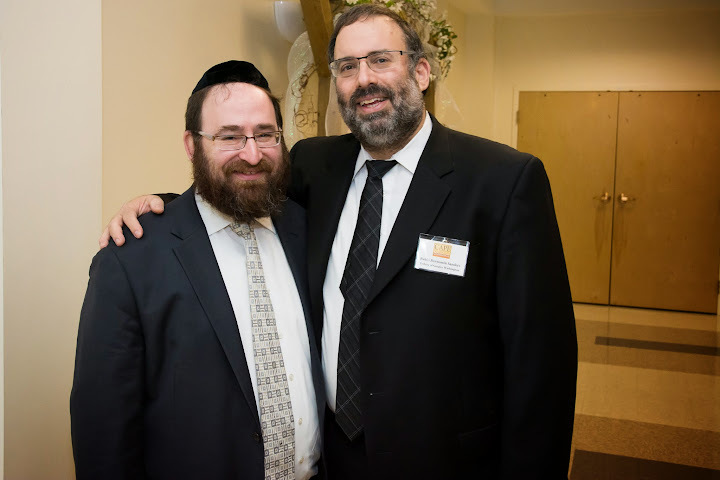 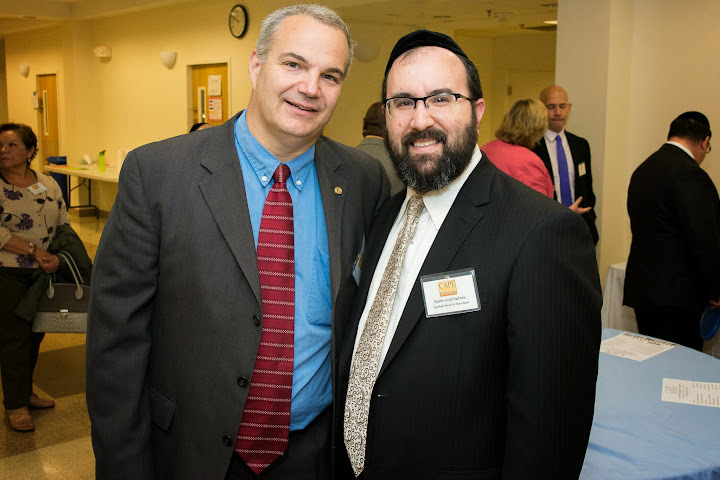 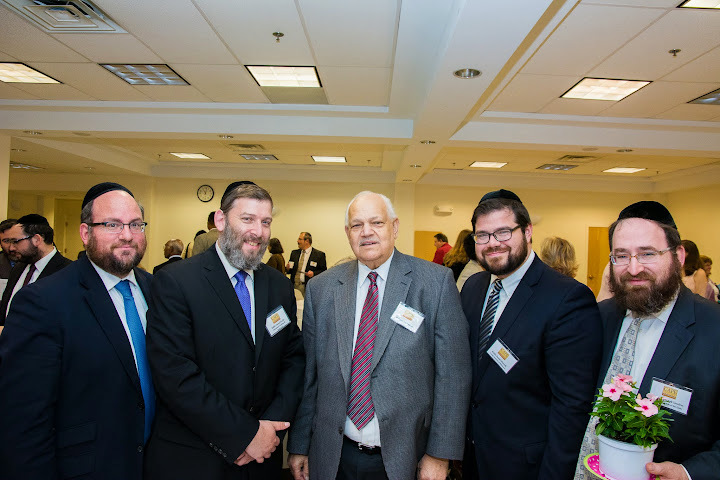 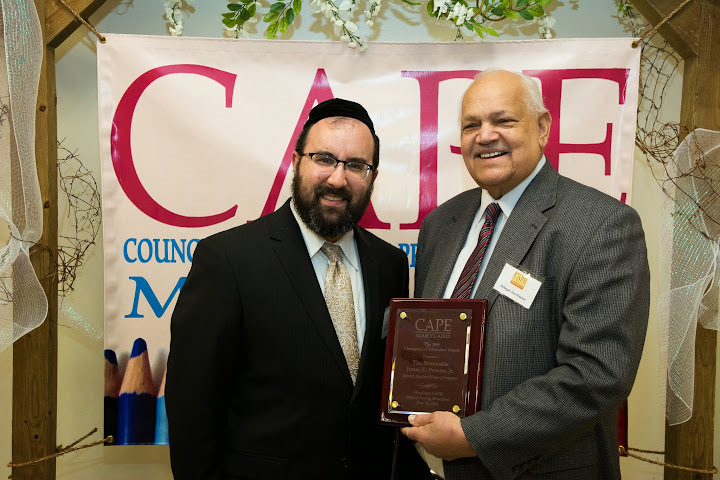 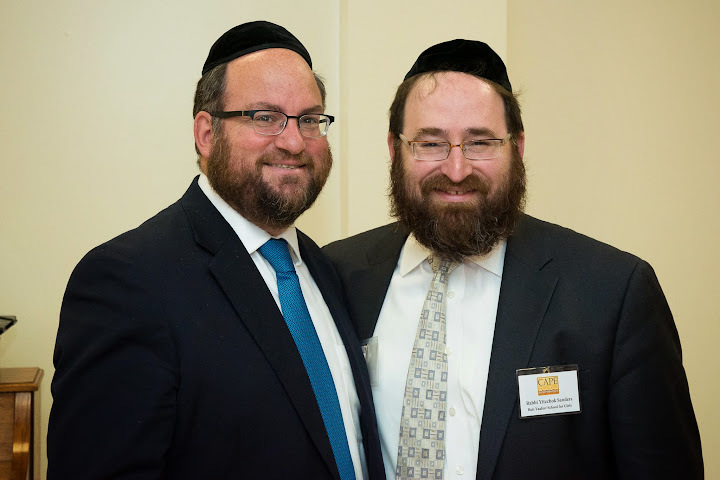 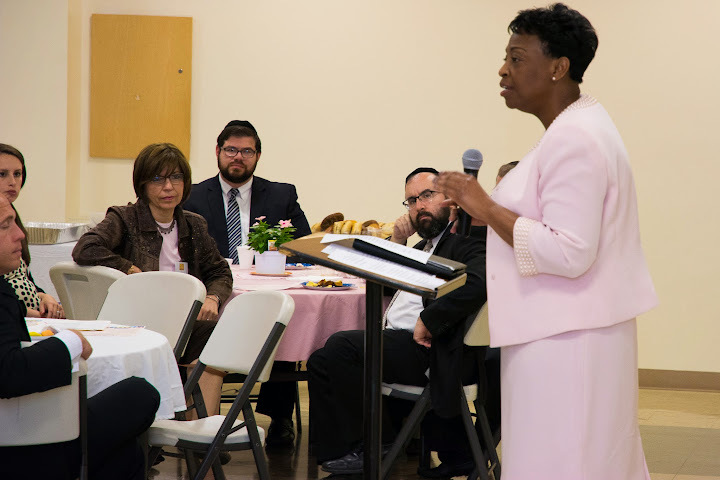 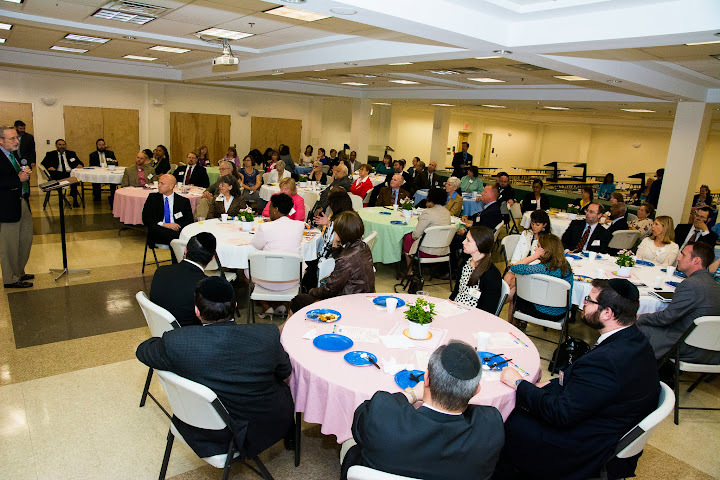 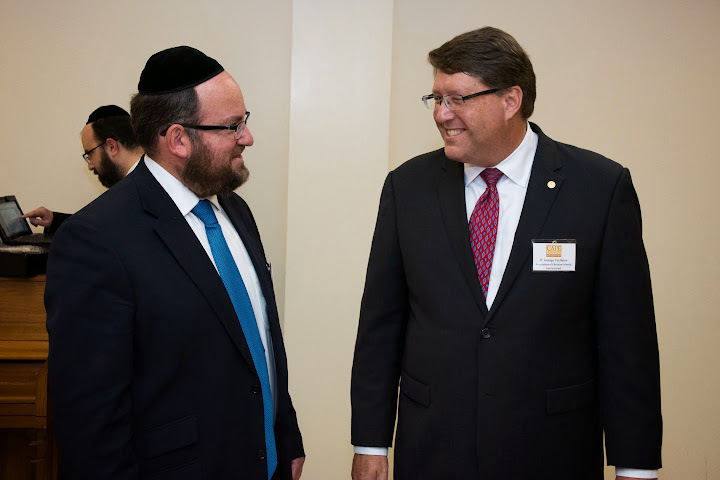 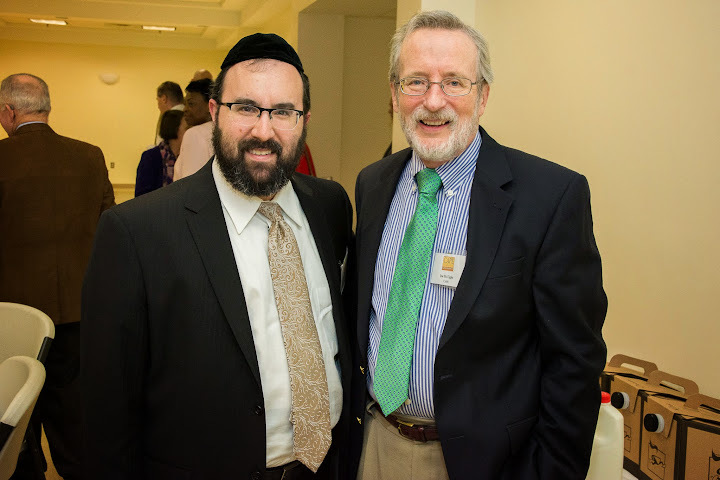 A noted guest at yesterday's breakfast was longtime friend of Agudath Israel and the executive director of National CAPE, Mr. Joe McTighe, who shared greetings with those assembled. 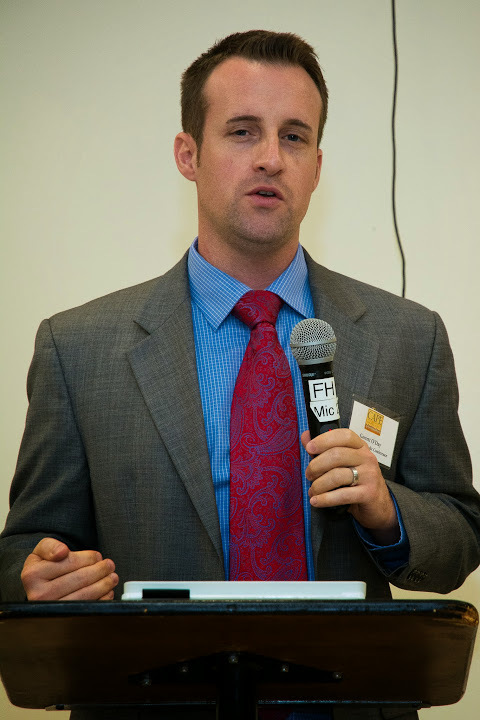 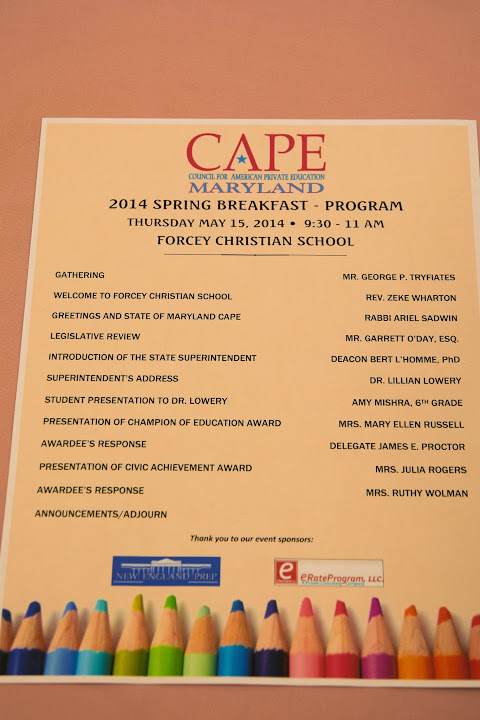 Other presentations of note were made by Dr. Lowery and by Mr. Garrett O'Day, Esq., the associate director of the Maryland Catholic Conference, both of whom discussed nonpublic school progress and success during the recently concluded 2014 legislative session in Annapolis. 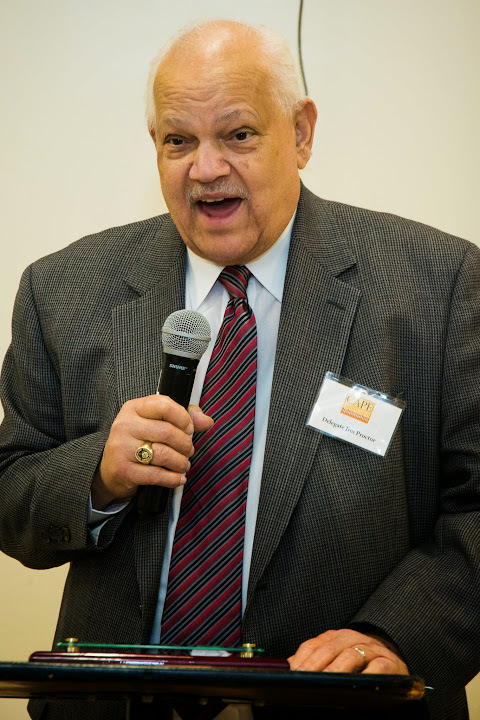 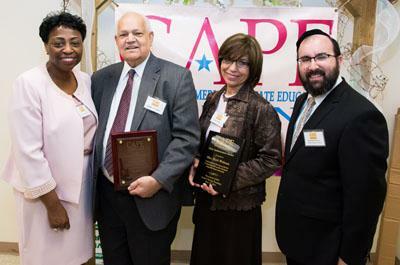 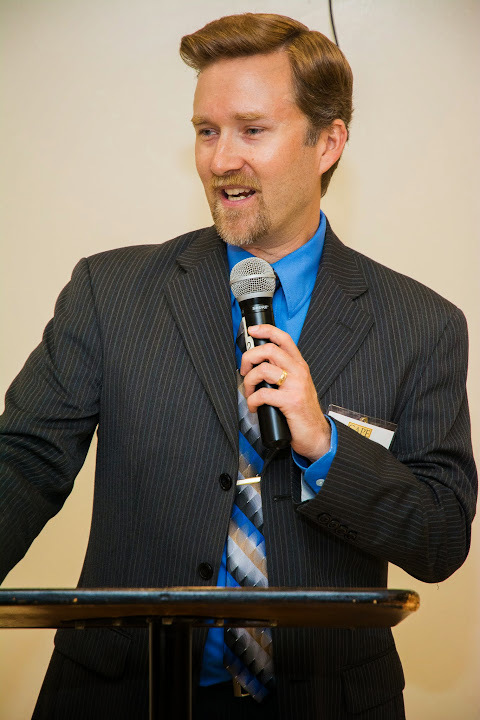 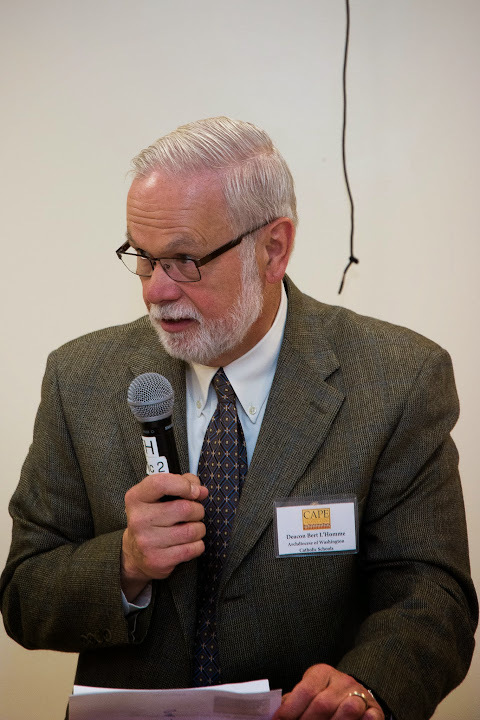 The recipient of the 2014 Champion of Education award was Delegate Jim Proctor, a career educator and longtime member of the Maryland House of Delegates. 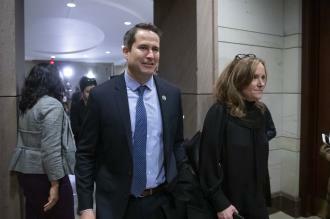 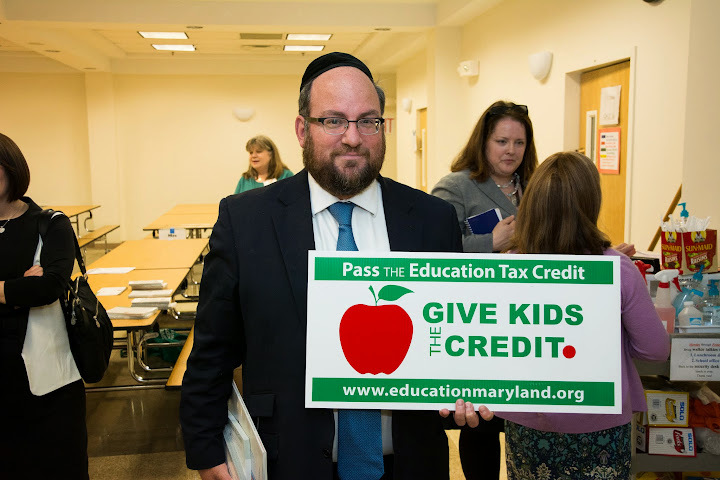 Delegate Proctor has used his position on the House Appropriations Committee to help secure vital funds for the use of nonpublic schools and to defend the invaluable role of nonpublic schools in the state. 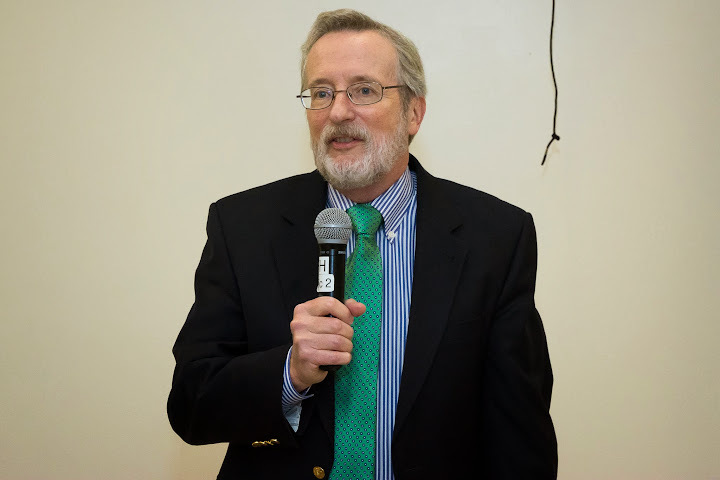 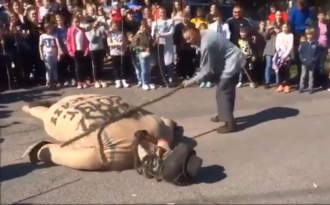 In accepting his award, the delegate deflected the notion of him being considered a "champion", saying, "I'm just doing what I think is right for these children". 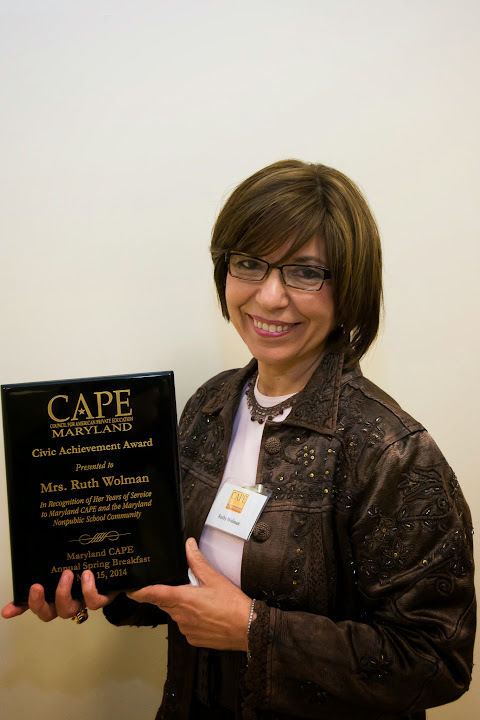 New for this year's breakfast was the presentation of the Civic Achievement Award, which was awarded to Mrs. Ruthy Wolman. 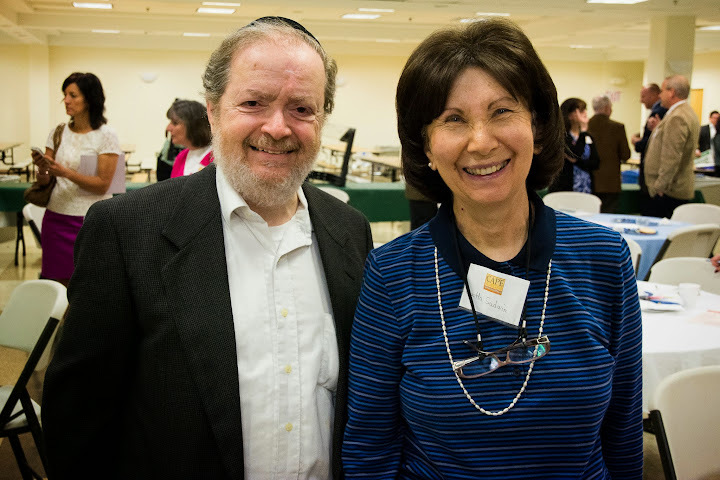 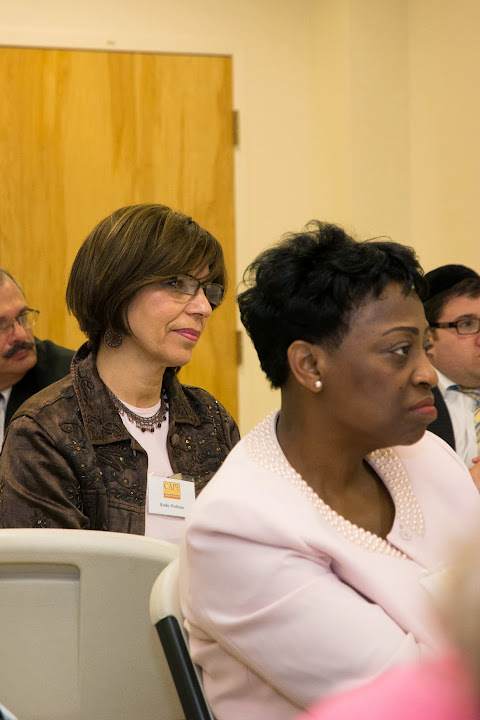 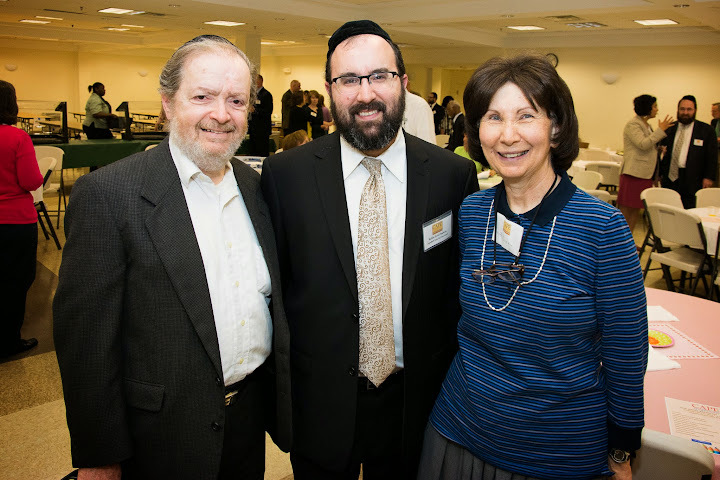 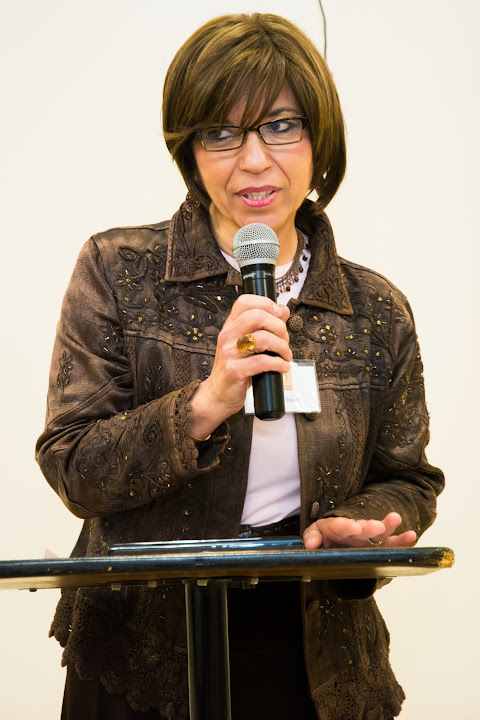 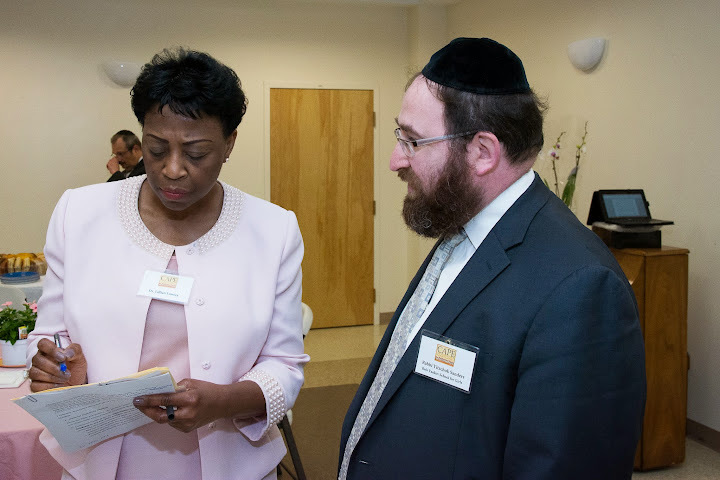 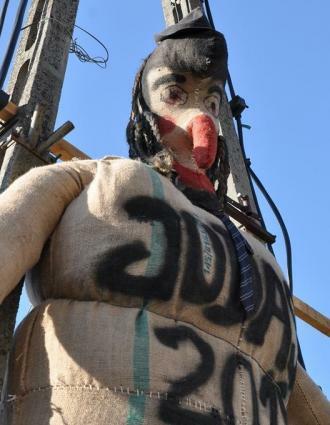 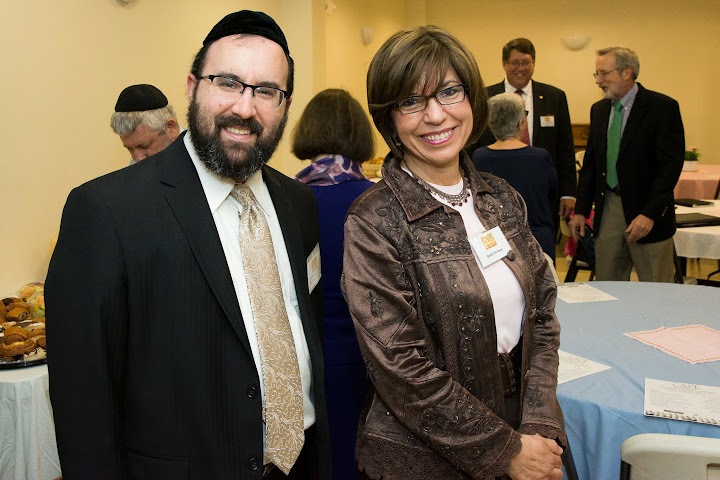 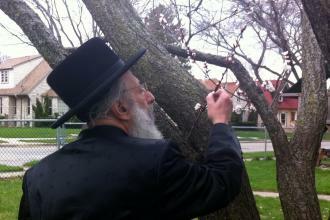 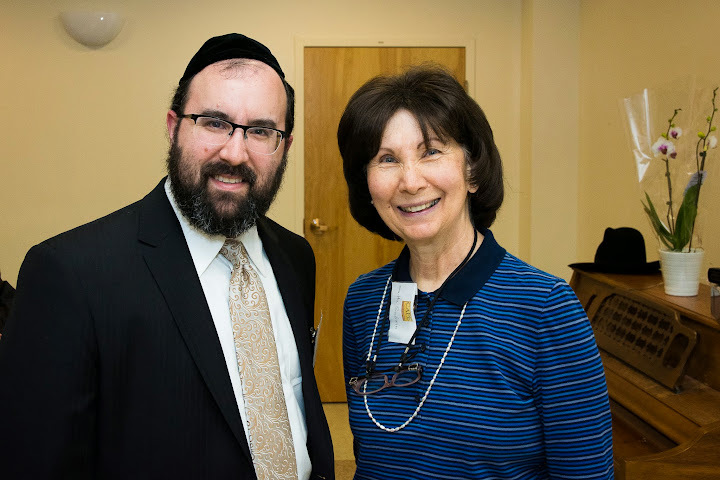 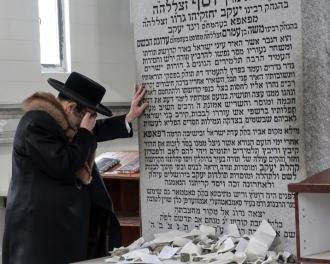 Mrs. Wolman, a prominent member of Baltimore's Orthodox Jewish community, served for many years in the Jewish day schools of Baltimore in various capacities. 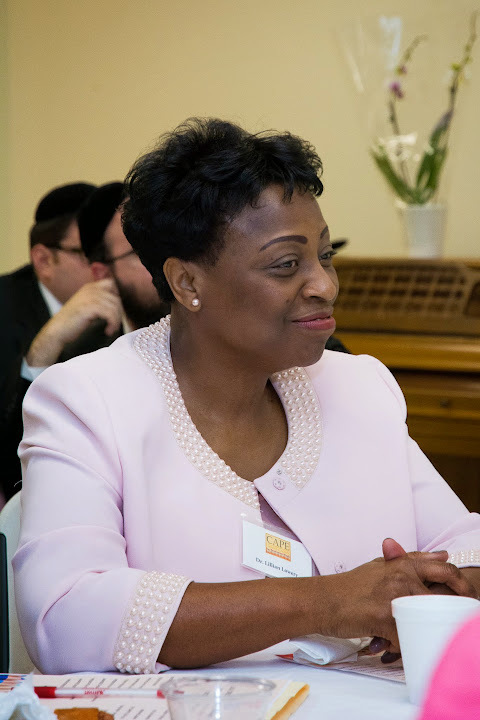 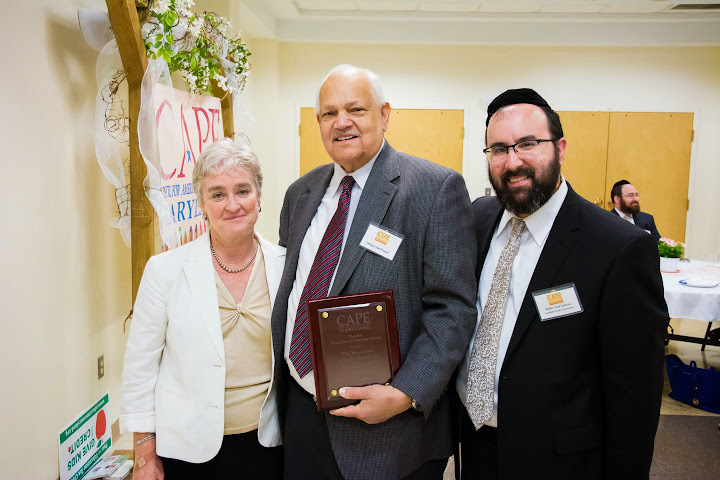 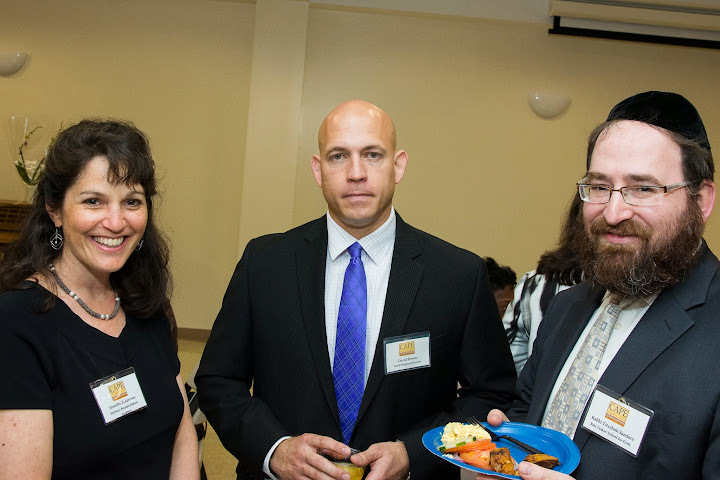 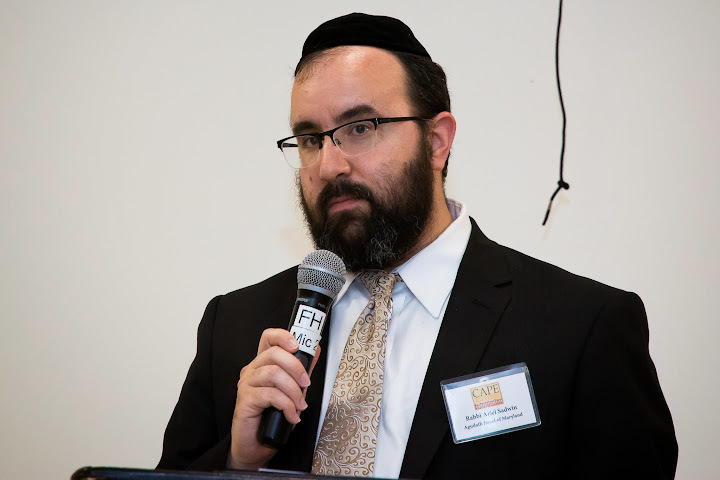 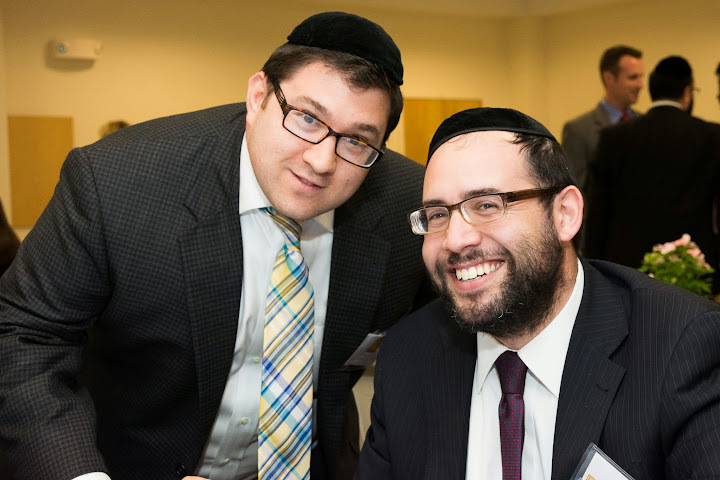 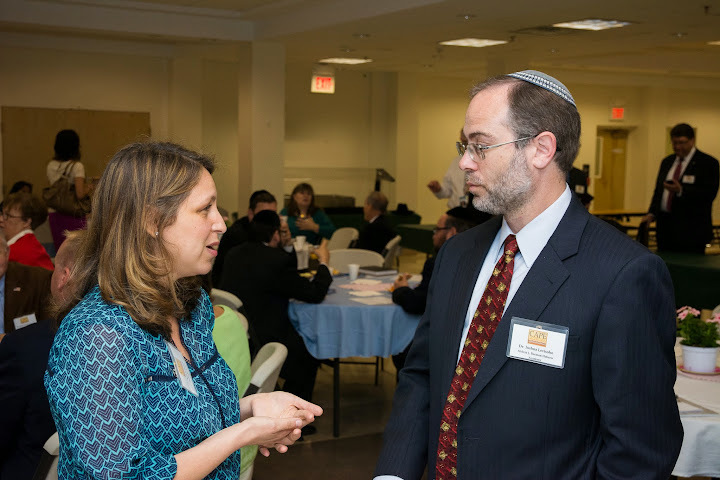 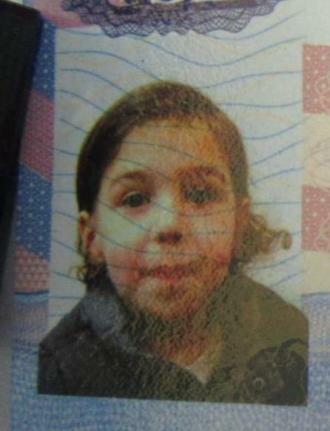 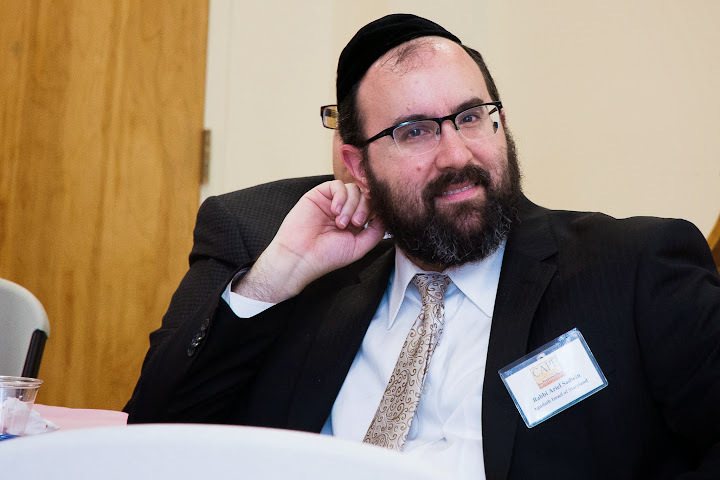 She followed that with exemplary service as the day school liaison for the education arm of Baltimore's Associated Jewish Federation, the Center for Jewish Education (CJE). 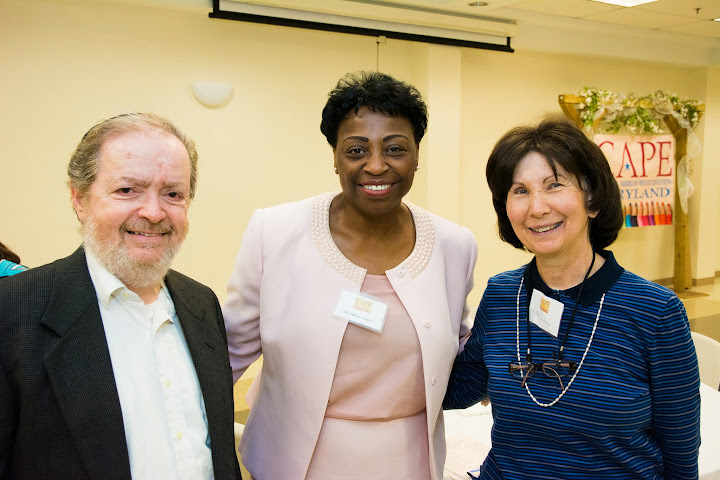 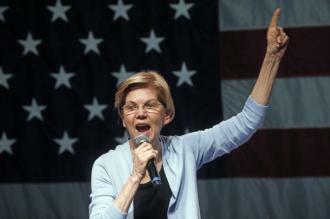 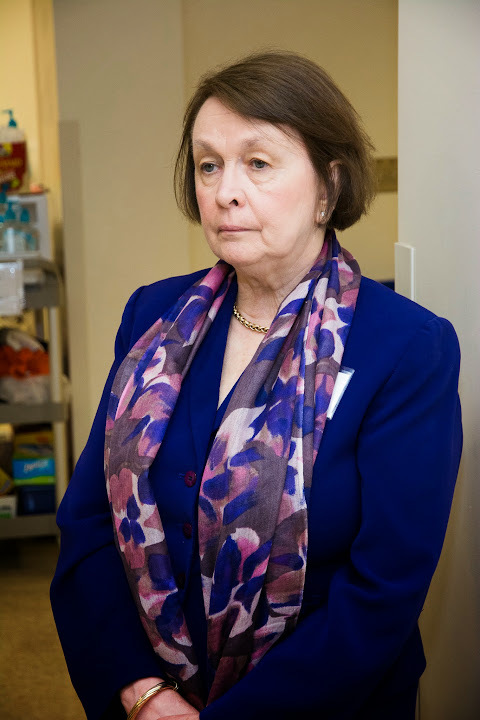 In that capacity she was able to help all nonpublic schools in Maryland receive increased access to vital resources and services through many of the federally funded Title programs. 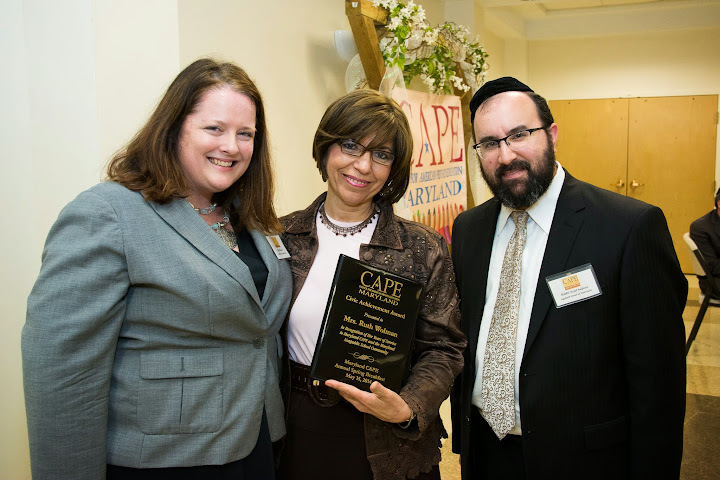 As president of Maryland CAPE, I chaired the event and delivered the annual "State of the (MD) CAPE" address highlighting the significant growth and expansion of the coalition - the only one of its kind where the needs of the full spectrum of religious and independent schools are addressed and represented - over the last several years.